This could be dubbed the ultimate recycle bin, but I really don’t think your council will be sending you one anytime soon. 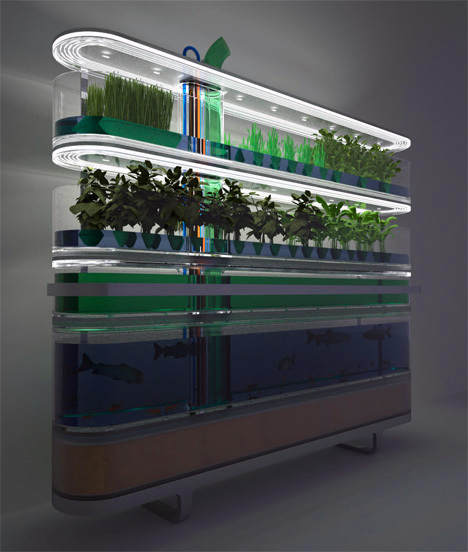 The Biosphere Home Farming unit houses fish, vegetables, grasses, plants and algae all in a single product. Using your kitchen waste as fuel / food the ‘farm’ generates water, food and cooking gas. Weirdly I actually think it looks kinda cool too!